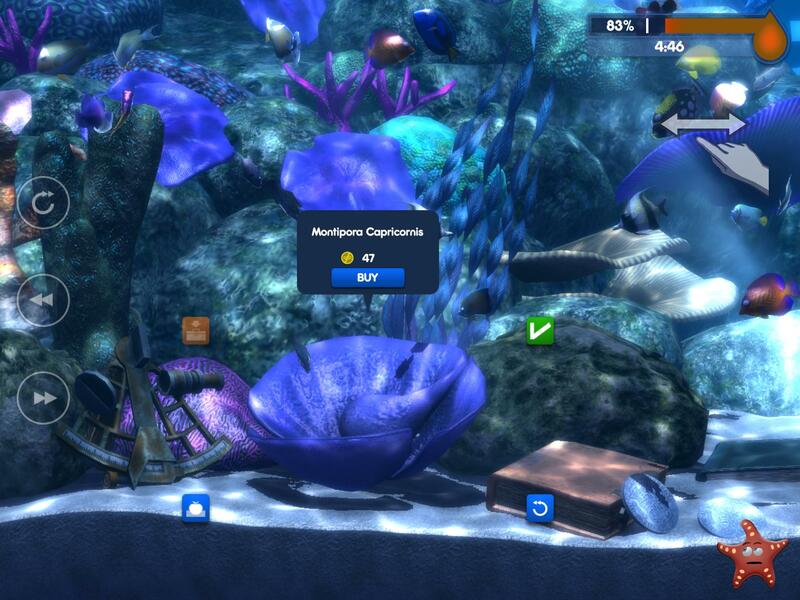 Did you know that when you visit someone, you can purchase decorative items in their tank? Simply double-tap or tap and hold on an item to select it. You can move an item around and even turn on physics to cause a huge mess in your friend’s tank, but only from your perspective – it won’t actually change the tank for your friend, since that would be kind of mean! Any item you purchase will be added to your inventory. So when you return home, you can open the Market and find the new item in the My Stuff category, which is at the top of the Market. Note that the really cool aspect of window shopping amongst your friends is that if they have an item you don’t have access to, you can get it anyway! You can even get rare, limited edition items this way, so be sure to check up on your friends regularly!